Mr Farage furthermore reminded everyone, under his leadership, the party had talked about mass immigration and extreme forms of Islam but "as a non-racist, non-sectarian party. This blows a hole in all of that." While he had not "given up" on UKIP, he said he would be writing to the party's ruling National Executive Committee urging a vote of no confidence in Mr Batten as leader and "that we get rid of him". 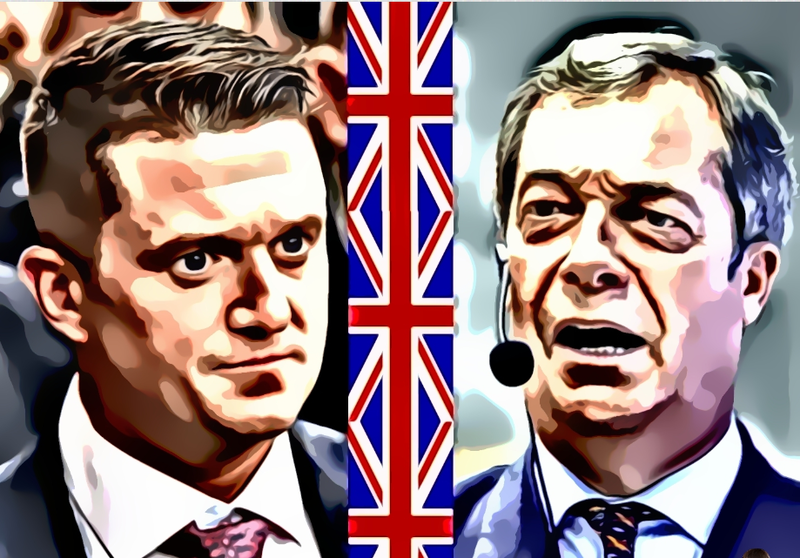 Current UKIP leader Mr Gerard Batten defended his decision to hire Tommy Robinson as an adviser and says he had saved the party "from oblivion". Mr Batten, already the fourth person to lead UKIP since Mr Farage quit in the wake of the 2016 EU referendum, said he believed he would see off any challenge to his leadership. He said that Tommy Robinson was a "high profile" figure who had been "persecuted by the state because of his views". "I think he's a good person to have on side, a lot of people respect his stand on things and his courage." He rejected the concerns expressed both by the former UKIP leader Mr Farage and other MEPs, several of whom have quit the party in recent months, that UKIP was becoming tainted with Islamophobia because of hiring Mr Robinson. "Islamophobic is a made up word… I don't have an irrational fear of Islam, nor does Tommy Robinson," Mr Batten stated. "It's down to me that this party has survived, not Nigel Farage nor anybody else," he said. "Nigel walked away from UKIP two years ago and hasn't shown any interest in it since." The 17.4 million who supported Brexit can only punch their weight electorally if the vote banks of Rees Mogg, Johnson, Hoey, Farage, Batten, Waters and Robinson unite. Farage's attitude is a serious obstacle to that. Sounds like sour grapes to me. He must have Hillary Clinton syndrome! When will they figure out that Farage is a fraud? Probably never. The Brits don't seem to be very intelligent. They worship a German family as British royalty and still haven't figured that 1 one. So this aszhat slams those that show the truth behind the evil that is so blatantly shown by these heathens. Plain to see which side he is on. There are those who love humanity & those that despise it & wish to profit any way possible from it. It is obvious this nigel cat is the latter sort of person. Fartage is obviously a Free Mason scrub, pushing the Illuminati, Free Mason Luciferian agenda.